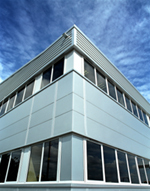 Construction of a 1,405 square metre (15,133 square feet) high office content warehouse headquarters building for HID Corporation Limited, part of the Assa Abloy Worldwide Lock and Security Company. The tenant wanted the flexibility of having office expansion space, which we have accommodated by leaving unfitted office areas at ground floor level. 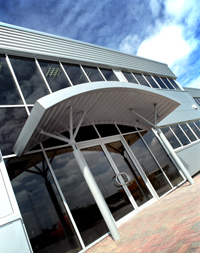 Warehouse ancillary areas, including canteen and toilet facilities, reception area and conference room (fitted with full audio visual facilities) are located at ground floor level. There is the ability to accommodate a further 2,900 square feet of office accommodation to add to the 4,200 square feet of offices currently at first floor level. The building has currently approximately 30% office content. 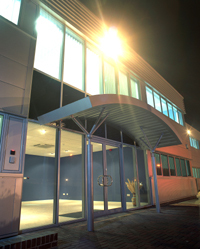 Construction commenced on the 14th January 2002, as a greenfield site. The buildings on Phase One were completed on 26th July 2002 and were occupied a week later. Total project time from start to tenant moving: 28 weeks.